The Restaurant at Winvian Farm's multi-course fine dining menu changes almost daily; with the seasons, the ever-evolving gardens, even the patterns of the weather. Each plate presented with such pride at your table is an epicurean expression of what is just outside the windows: field-fresh, delectable, inspired… and so spontaneous that the evening's prix fixe menu is finalized only hours before your meal. 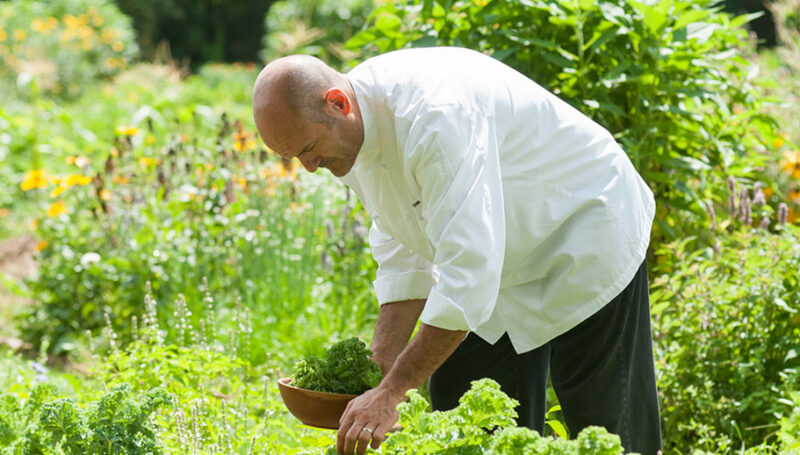 Eighty percent of all vegetables on the menu, as well as the herbs and organic flowers on your table come from our gardens.